Posted by Mike C. in Personal, Photography, Weather. It was a quiet 29 days following last month’s blizzard. Despite that, I kept snow shovels on the front porch just in case there was at least one more storm before spring. As it turns out, there were two. 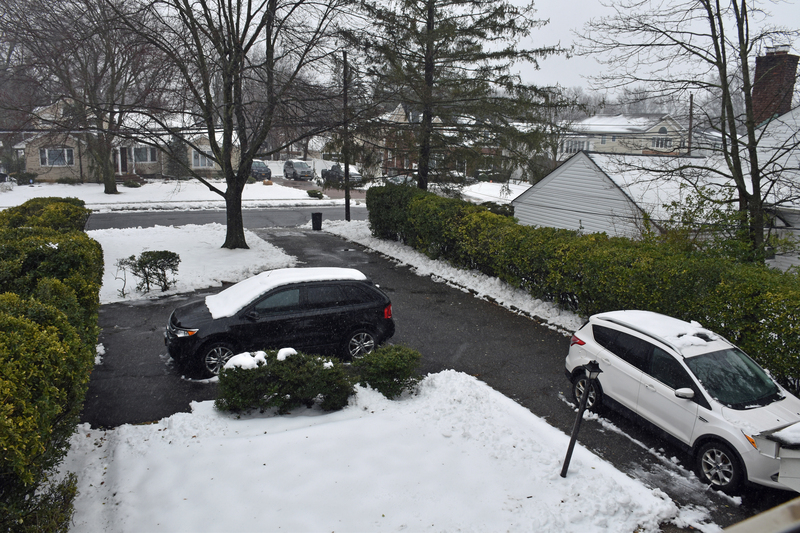 The first storm, which came through last Friday, delivered a few inches of wet snow which barely accumulated on pavement. I only had to shovel one strip of the driveway where wet snow did accumulate and wouldn’t melt in the warm March sun. The second storm was to come yesterday and it was expected to be a massive blizzard that would drop a foot or more of snow amid strong gusty winds. As impact approached, the forecast track shifted west. 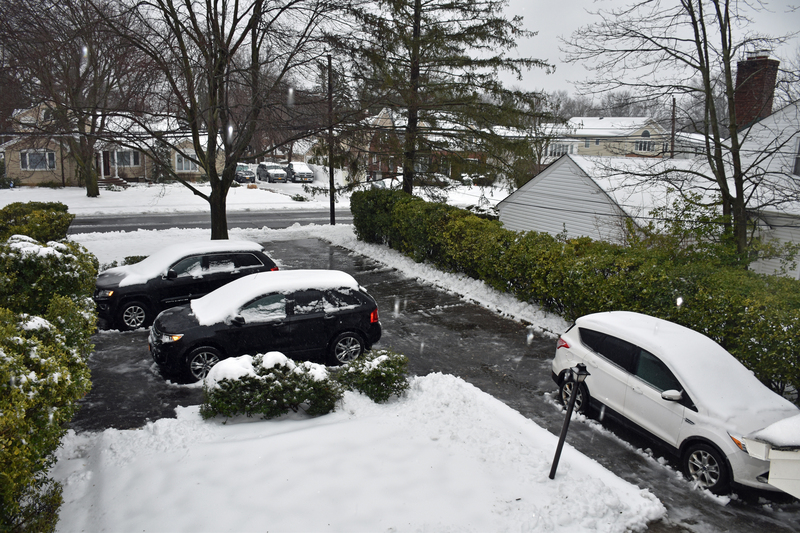 Sleet was expected to mix with the snow, limiting accumulation to a foot at most. Some computer models were expecting a change to rain, which would limit snowfall even more. That’s what ended up happening. I woke up at around 7AM to the sound of sleet pelting my east-facing window. 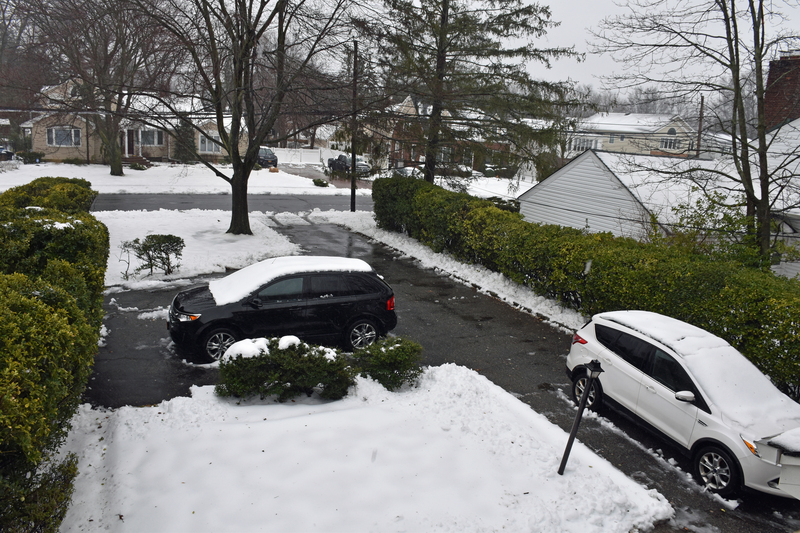 The changeover had happened after only a few inches of snow accumulated. 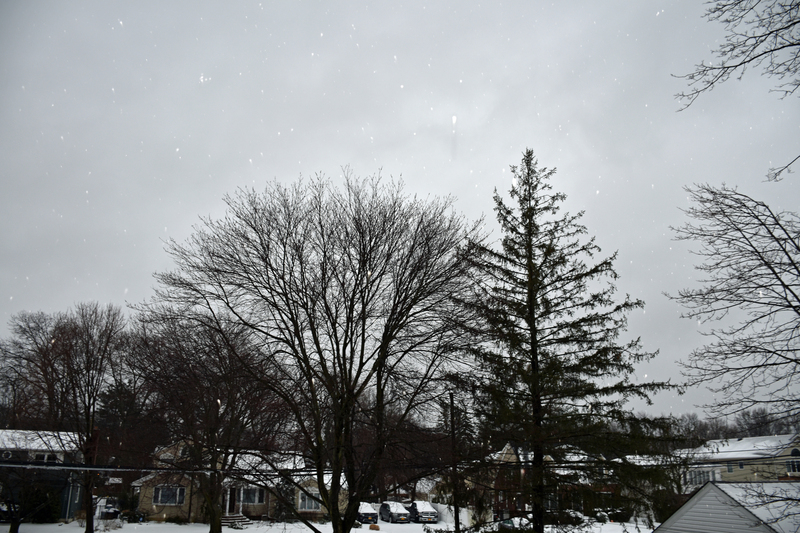 In the next hour, sleet began to mix with, and change to, rain. The rain turned the snowfall to slush, but didn’t wash it away. That’s where I came in. I went outside just before 9:00 and shoveled the driveway except for its edge in case snow plows came through again. I wouldn’t want my work to be undone in that area. It was grueling. Shoveling a few inches of slush is much tougher than shoveling a foot of powdery snow. Plus, in spite of gloves, my fingers were cold. After an hour of laborious shoveling, they were numb and my outer layers of clothes were soaked. Running warm water on my fingers when I got back inside turned the numbness into painful prickling for several seconds. It wore off after a minute. 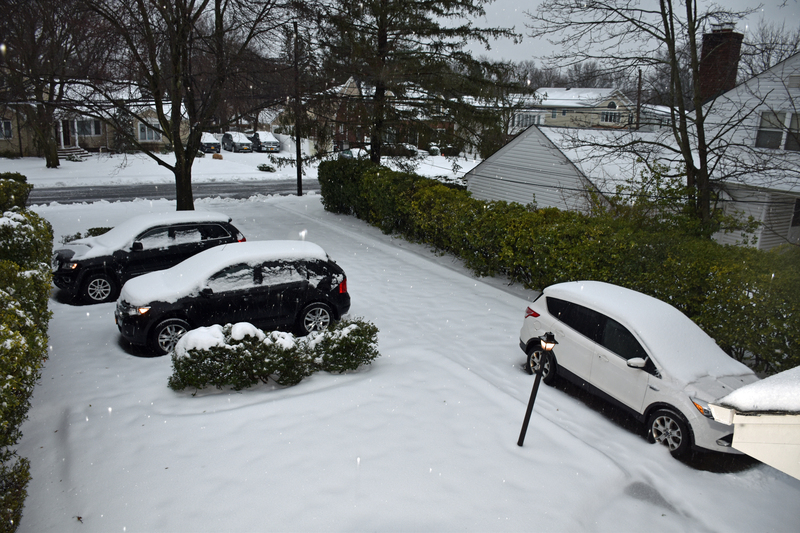 Luckily, the rain never changed back to snow and the snow plows didn’t return. So, I shoveled the edge of the driveway around 3:30 while temperatures were still above freezing. There was a brief snow shower early in the evening, but it merely coated a few spots.